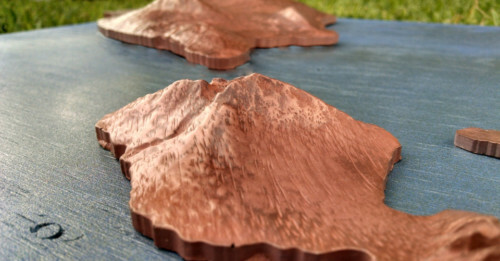 Koa Hawaiian island chain sculptures of the 8 major Hawaiian islands. 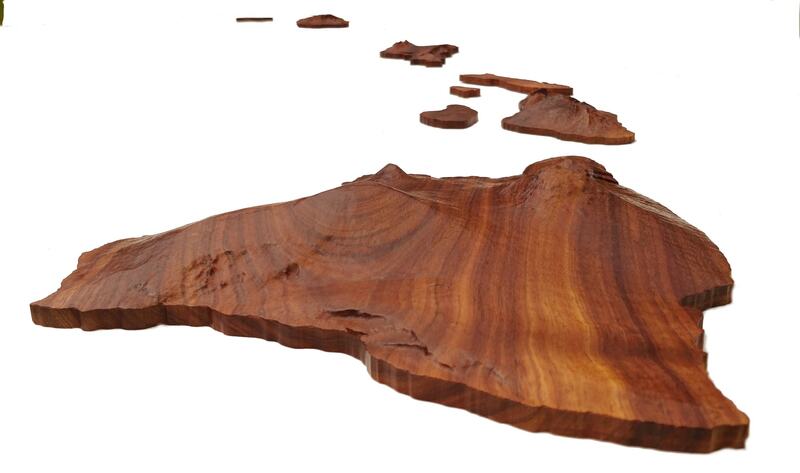 Finely crafted from hand selected Koa wood that’s grown on the Big Island of Hawaii. Every island, board, and Koa tree has a different story to tell. 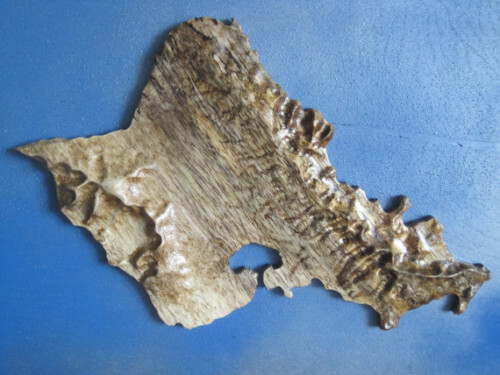 Wood is a natural material and can vary in tone, color, grain, and density — as one can note throughout the website’s photos of Koa Wood Hawaiian Island Chains. 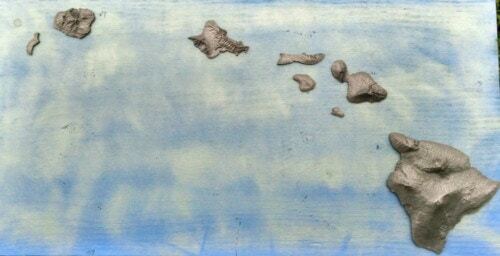 Lead time is 2-3 weeks from the time of order unless a delivery is scheduled as Hawaii island chains are made to order. Every island chain is shipped VIA USPS Priority Mail with Tracking, Insurance, & Signature on Delivery. If required sooner; with a specific schedule and/or carrier–please feel free to contact me. The Hawaii Island Chain is an iconic symbol that one is bound to see if they have ever visited the state of Hawaii. Why settle for a flat map of Hawaii when you can capture the topography of the Aina with a Koa sculpture that’s the impetuous of Hawaiian Decor? 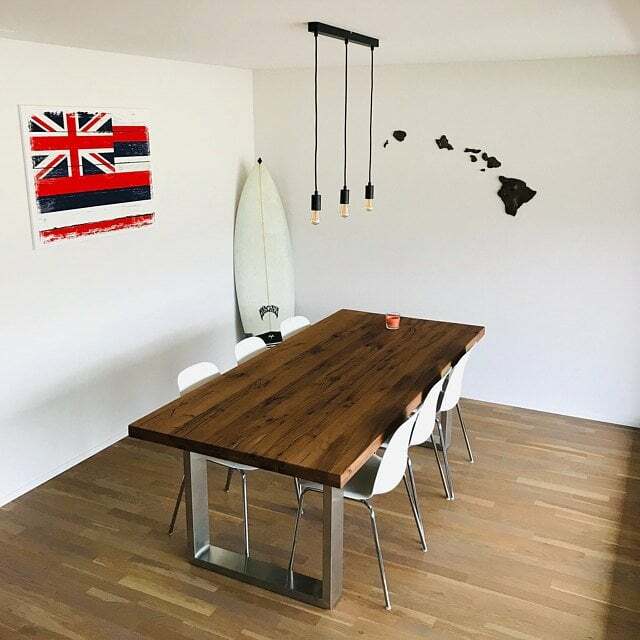 A few have made pieces of Hawaiian island wall art that resemble the island chain, but none to my knowledge has reached the level of detail, quality, and affordability that is sold here. 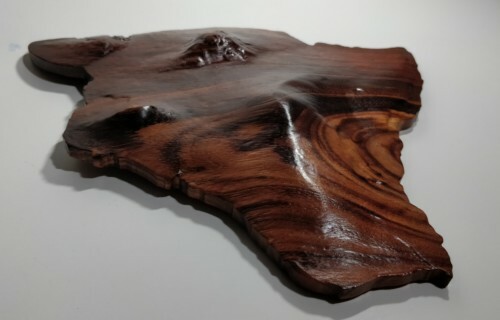 My pieces are carved from Koa wood that’s grown on the Big Island of Hawaii and hand selected for the best artwork possible. A satin lacquer and a burnished oil finish are offered; the first has a more traditional finish surface with some depth, and the other has less shine with minimal finish “build”. Each island is sanded meticulously, receives several coats of lacquer, is buffed between coats, and finally has a satin lacquer top coat applied. In the case of the “Burnished Oil” finish the islands are burnished to a very high grit, recieve a hand rubbed oil finish, are burnished yet again, and recieve a final hand rubbed coat. Lacquer is a more durable finish in the way of humidity, and even offer brief resistance to water exposure. 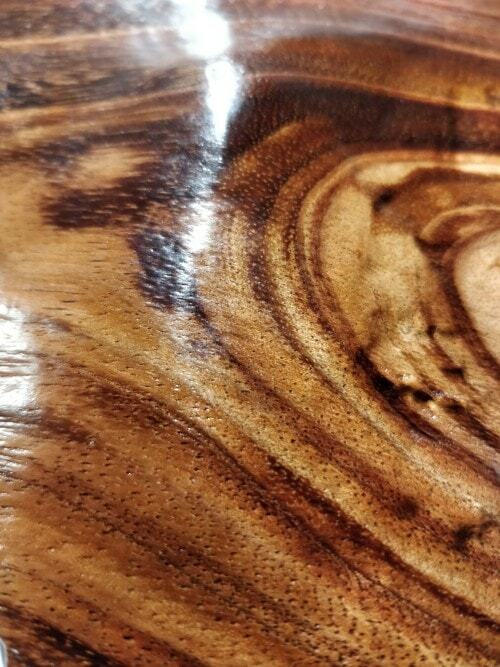 The burnished oil finish will have less shine, potentially appear more natural, and will not seal the wood–it should be kept in a stable environment, and not handled extensively by hand. 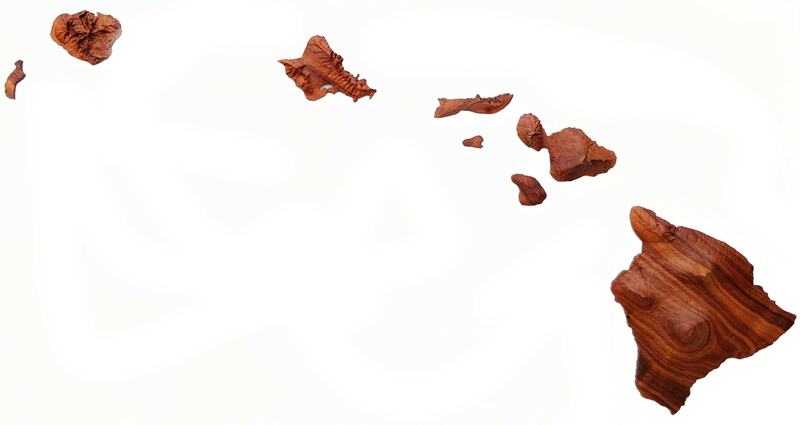 Every set includes all the Hawaiian islands : Hawaii’i, Maui, O’ahu, Kauai, Moloka’i, Lana’i, Ni’iau, and Kahoʻolawe. “Island Chain Size” is the size of the entire island chain in length and width. “Big Island Span” is the size of the Big Island. If you took a tape measure to the Big Island this would be the greatest measurement you could find. Every Hawaiian island chain includes hanging hardware, a template, and written instructions. 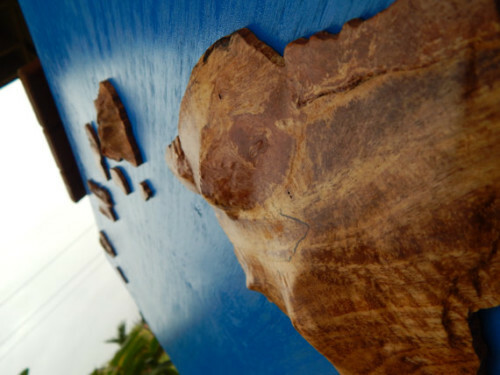 They are easily hung with typical screws or nails, and the islands will hang flush against your walls. 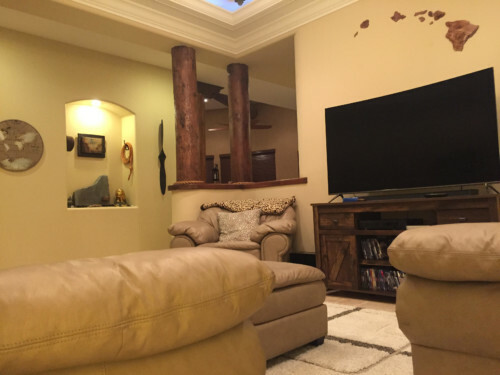 If a picture can be hung on your wall than an entire island chain can easily be hung on any wood or drywall. away from excessive humidity or extremely variable temperatures. Please feel free to contact us if you have any questions such as details about the artwork, sizing, application, a specific delivery window, etc.